My first vivid memory was when I was about 10 years old. I was in a cousin’s wedding wearing a beautiful pink dress and I was so nervous that I developed red blotchy hives all over my neck and back. It was so noticeable that most of the attention was on me instead of the bride. There was a doctor in the crowd and he made me feel like there was something physically wrong with me. This stuck in my head as now I see it as my first anxious sensation that escalated into a panic attack. Fast forward 20 years later. I am happily married pregnant with my first child and working full time. During this pregnancy I suffered with extreme anxiety. I was so scared of being pregnant and becoming a first time mom. My OBGYN treated it as pregnancy depression and dismissed my concerns. I had what I thought were normal bouts of anxiety but nothing that earth shattering. Time passed and I was a happy mom of two and an even happier wife as I just found out I was pregnant with my third child. As the month went by, we moved into a bigger home to accommodate the new baby. I was as happy as I could be. Life was absolutely great! I was content and so lucky! However, late into this third pregnancy, I shockingly stumbled onto a life changing event. I learned that my husband was cheating on me. I was in such disbelief and completely unprepared to live my life as a single parent. I ended up delivering the baby 8 weeks early in a very traumatic delivery. The baby spent weeks in the NICU. So here I was… I just had a baby who was extremely premature, just moved into a new home into a new neighborhood, I had two other children to take care of and a husband who I loved with all of my heart that just walked out. I went on auto pilot as any mother would do. I spent hours in the NICU while juggling my other two children, aged 2 and 4 at home. Thankfully my baby was released and came home from the hospital weeks later. It was at this time I decided I needed to see a therapist to because I was going through a divorce and still grieving the loss of my marriage. I remember this like it was yesterday. I was driving home from the appointment. It was in the early evening. Out of the blue, my heart started to pound. My breathing was labored. I felt like I was going crazy. I had to pull the car over. I did not know what to do. I felt as if I was dying. I remember thinking about running to a house and screaming for help. Instead I sat in the car, called my mom and had her come and pick me up. I was shaking uncontrollably, petrified as she reached me an hour later. I had no idea what just happened to me. I instantly became afraid to drive. Here I was a mother of three, sole supporter and I could not even drive my car. I thought about all that I had gone through and how strong I was through it all and the thing that terrified me, wasn’t that my baby was ill… wasn’t that my marriage ended… it was this panic… the fear I felt that day. I never wanted to feel that way ever again. Days went by and I was living with such a heightened sense of anxiety. I was stuck in the anxiety loop fearing the fear. But I knew I had to be strong. I had to get up every day and go to work to support my children and I had to push through the fear. I survived this way from about 2009 to 2016 when I realized that I was not living my life. Here I was, a single mom of three that many looked up to as being strong but inside I was afraid of everything. I was scared of taking a vitamin. I was scared of eating a food I never tried because I thought I would have an allergic reaction. I was scared of fainting because of my extreme dizzy spells. I was scared of going shopping. I was scared of rooms without windows because I felt closed in. I was scared of driving. I was only able to drive to work and back and my safe zone was about an hour from home but any farther seemed impossible. I was terribly afraid when my children would go with their dad because I thought I would never see them again. I thought of worst case scenarios and “what if’s” all the time. I was living in a highly anxious state. I decided to visit a counselor who changed my life. After meeting with her for a few sessions, she mentioned in passing that she heard of a free download on her kindle of a book called DARE. She mentioned some of the steps to me and suggested that I order the DARE book. This was the first time that she heard of it so I told her I would get it and report back to her about the program. I went home and ordered the book. It was August of 2016. That month, I read and re-read, making post it notes and sticking them all over my house. Because my house was covered with post it notes, my young children would ask, “Mommy what are all of these post it notes for?” I would giggle and tell them that they are for a science experiment! And boy, did this so called, “Mommy’s Science Experiment,” start to work! I started setting goals and driving. I started doing all the things I used to do before anxiety stole my life. I talked to my anxiety and told it to make me have a panic attack. BRING IT ON!! What happened is that I started to shift my thinking. I had all of these new tools. 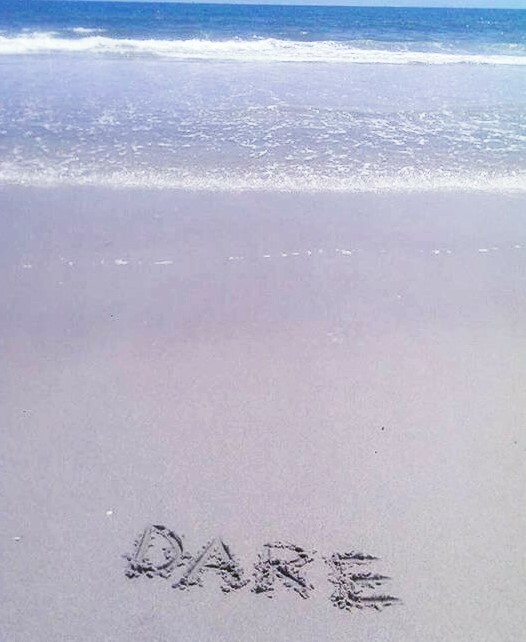 DARE helped me to live again without fear. I knew that things were never going to be the same. Next month will be my one year anniversary of using the DARE technique. I would recommend it to anyone that struggles with anxiety. I can tell you that I still have anxiety as we all do, it is just that I am not afraid of the sensations any longer. I owe all of this to Barry and Suzane, and my counselor Susie who recommend the program. Thank you all so much! Your life is now waiting for you to start living it. Anxiety is a bully. It makes you think that you can’t do certain things. Funny thing is, you can! You can do anything in that you want. You can break free from anxiety and live life to its fullest! Thanks for sharing your story. You have encouraged me today so much! Today I will be going out stronger because of hearing how you face that bully called Anxiety!! You are an amazing woman!!! Thank you! Thank you!!! I am stronger today!! Wow very encouraging!!!!!!. I wish you the best. Prayers and Barry the best support in my life, I bought his firs panic attack book, since then my life changed, I am doing a lot that I couldn’t do before, stories like that keeps you going in life thank you for posting success stories. Lovely story thank you for sharing. Yes my anxiety is still there but thanks to dare I can cope with it. Thank you Anna for sharing I was able to relate with you 100 on everything ! Keep pushing ! So will I! Thank you so much. Very brave of you to handle that all alone, it gives us hope. Is there a forum for Dare for support? Your story was very informative. You are such a strong and inspiring woman. Your children are lucky to have such an amazing mother. Keep up the good work and thank you for sharing. Anna, you are a true hero..I have been following the DARE program sin May 27, 2017…in this short period of time I have spoken to my anxiety numerous times…telling it to come on in and do your thing. 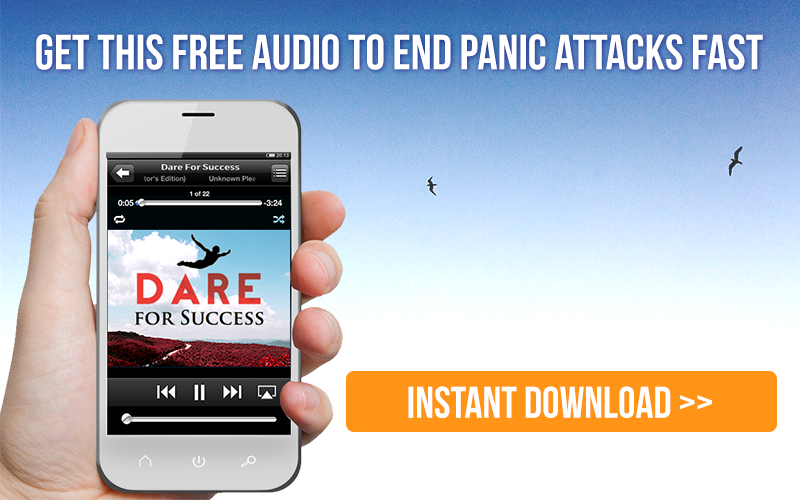 I love Dare and would recommend it to anyone experiencing anxiety. Thank you…you are a real role model. Thank you so much for sharing! I’m suffering with Anxiety and I’m afraid of driving. Sometimes I’m even afraid to go out of the house ? & don’t want to get out of bed some days! It has completely taken over my life!!! THANK YOU,STRONG WOMEN.I HAVE REALLY BAD ATTACKS,I DO NOT LEAVE MY HOUSE,UNLESS I REALLY HAVE TO……..